This year’s Corruption Perceptions Index (CPI) paints a bleak picture of anti-corruption efforts in Eastern Europe and Central Asia. 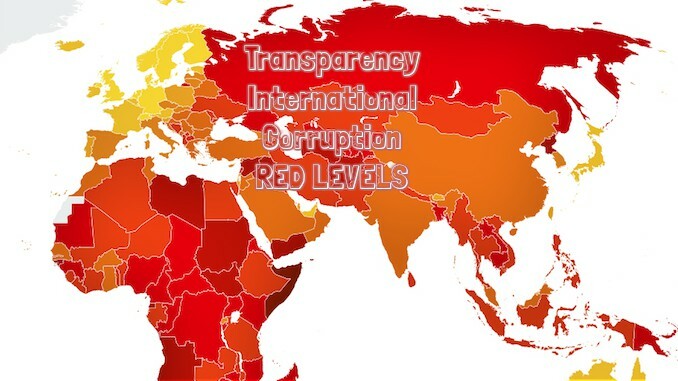 In a region where only one country scores over 50 out of 100 and all other countries score 45 or less out of 100 on the index, there has been very little progress in combating corruption over several years. Only three countries from the region score above the global average of 43. Georgia leads the region with just 58 points on the CPI, followed by Montenegro (45) and Belarus (44). At the very bottom, Turkmenistan earns the lowest score in the region (20), followed by Uzbekistan (23) and Tajikistan (25). Unsurprisingly, given its average score of 35, Eastern Europe and Central Asia is the second lowest scoring region in the index, ahead of Sub-Saharan Africa which has an average score of 32. With this dismal reality in mind, a disturbing trend is emerging. Highly corrupt countries that score poorly on the CPI also tend to have fragile democratic institutions and their citizens have weaker political and civil rights. 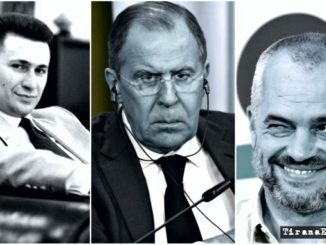 From Russia to Azerbaijan, Ukraine and Uzbekistan, many democratic institutions and norms across the region are currently under threat – often from authoritarian rule. Governments throughout Eastern Europe and Central Asia are failing to preserve the checks and balances that are foundational to democracy and instrumental in controlling corruption. Corruption thrives where weak democratic practices exist. Combined with a lack of political will to combat corruption in the public sector, countries across the region are undermining the political rights of their citizens. As a result, people are unable to speak out, demonstrate or associate with organisations or activist groups – at least not without fear of consequences. At the same time, corruption locks these countries in a vicious cycle where the ruling politicians have no real incentive to allow for democratisation and strengthening of independent institutions. In many post-Soviet countries, checks and balances do not exist that would ordinarily keep powerful private individuals and groups from exerting exceptional influence over government decisions. In these settings, illicit lobbying practices take place and conflicts of interest go undisclosed. Among European Union (EU) candidate and potential candidate countries, or those countries currently in accession negotiations with the EU, four out of seven have seen minor drops in their CPI scores since last year. Despite firm EU conditions on curbing corruption and ensuring institutions are free of political influence, many governments across the region fail to show true commitment to democracy and the rule of law. Specifically, many of these countries fail to disclose sufficient information about electoral campaigns and political party finances. In addition, these countries act against civil society organisations, investigative journalists and political opponents. One of the biggest impediments to fighting corruption in Eastern Europe and Central Asia is state capture, where powerful individuals or groups seize control of national decision-making and use corrupt means to circumvent justice. Without sufficient checks and balances in countries throughout the region, institutions suffer and undemocratic practices persist. While governments claim to prioritise combating political corruption, in reality, they fail to take concrete steps to do so. This erodes citizens’ trust in their own government as well as in international bodies and agreements, and contributes to higher rates of corruption. Unfortunately, given the region’s low-scoring trends, there are very few countries making any real progress in the fight against corruption. While EU-candidate Albania increased by five points in the last five years, moving from 31 in 2013 to 36 in 2018, it dropped two points since last year. This may be due to a political stalemate that blocked several anti-corruption reforms from moving forward. With a new judicial vetting process and anti-corruption institutional framework almost complete, it remains to be seen whether Albania will improve its score in the future. This year, Azerbaijan (scoring 25), Russia (28), Kazakhstan (31), Kosovo (37), Serbia (39) and Montenegro (45) are among the countries which have either declined in their CPI score or continue to stagnate. Azerbaijan drastically dropped six points on the CPI, moving from 31 in 2017 to 25 in 2018. This decline follows a continued crackdown on civil society and independent journalists. Over the last couple of years, the Azerbaijani government has made it immensely difficult for civil society organisations, including our chapter Transparency International Azerbaijan, to accept international funding that would allow them to continue to operate. By tightening access to funds, the government is curbing citizens’ ability to organise and speak out. In addition, in September 2017, the Organized Crime and Corruption Reporting Project (OCCRP) published an investigation that revealed a US$2.9 billion money laundering operation and slush fund run by Azerbaijan’s ruling elite. The Azerbaijani Laundromat operation used the siphoned funds to promote the country’s image abroad and distract from human rights violations committed under its authoritarian regime, according to the report. With a score of 28, Russia dropped one point since 2017, an unsurprising decline given weak political and civil rights as well as an ineffective system of checks and balances. This low score reflects a lack of trust among experts and businesspeople in the ability of the government to yield sustainable anti-corruption action. Cronyism remains a cornerstone of Russian social and political processes. Independent media are rare, as are independent NGOs, which are often replaced with organisations created and financed by the government. In addition, the judicial system is often biased, with courts administering large fines on independent actors to keep them in line with the government’s agenda. For example, in 2018, Vladimir Litvinenko, rector of St. Petersburg Mining University and previous academic supervisor of President Vladimir Putin, sued our chapter, Transparency International Russia (TI-Russia), for publishing an investigation into the misuse of public funds. The court ruled in favour of Mr. Litvinenko, concluding that while TI-Russia’s investigation presented factual evidence, it also damaged Mr. Litvinenko’s reputation by exposing his misuse of public funds, and for that, the chapter was fined one million roubles. TI-Russia successfully raised one million roubles in less than a week to pay the fine imposed by the court, largely thanks to hundreds of online donations from Russian citizens. Signatures on international agreements such as the Criminal Law Convention on Corruption and its monitoring body, the Group of States against Corruption (GRECO), which are both part of the Council of Europe, along with commitments from the 2016 Anti-Corruption Summit, seem to create an illusion of progress in Russia without delivering real results. The Civil Law Convention on Corruption, which allows citizens and private sector actors to seek redress for corruption cases, remains a non-priority for Russia, along with implementing lobbying regulations and whistleblower protections. With a score of 39, Serbia dropped two points since last year, a trend that may persist if the government continues to undermine those bodies and institutions that are responsible for maintaining the rule of law. In 2018, despite opposition from NGOs, professional associations and others, the government has pushed for increased influence over the judiciary. Similarly, the government is working to reduce public access to information by exempting state-owned enterprises from disclosing information. 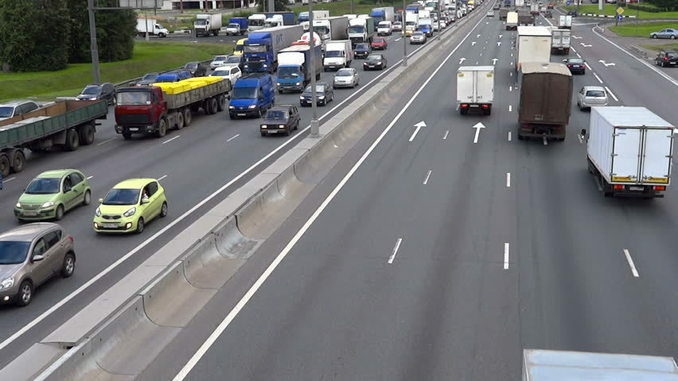 In addition, despite government claims of supporting free media, journalist associations are having difficulty engaging in the development of Serbia’s new media strategy. Our chapter, Transparency Serbia, is a strong advocate for anti-corruption measures and independent oversight bodies. To advance these efforts, the chapter conducts anti-corruption research, monitors the implementation of EU accession requirements and participates in NGO coalitions aimed at improving democratic and anti-corruption frameworks. With a score of 37, Kosovo dropped two points on the CPI since 2017. 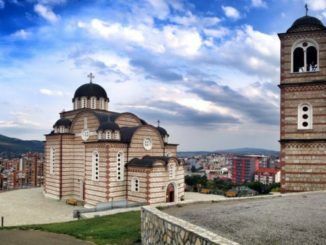 Some of the biggest anti-corruption challenges in Kosovo include insufficient transparency, weak institutions and rule of law and insufficient space for citizen engagement. To address these issues, our chapter, Kosova Democratic Institute, monitors public institutions, advocates for transparency of political party financing and runs various campaigns to engage citizens in national decision-making. With a score of 45, Montenegro dropped one point since last year. Despite its advancement in EU integration, the country has yet to significantly improve its rule of law. Concerns around political party financing and a lack of financial disclosure cast a shadow on electoral results. In an environment dominated by the same ruling elite for over two decades, the effects of state capture are evident in Montenegro. Yet despite these challenges, our chapter, MANS, remains a strong advocate for strengthening the rule of law and improving free access to information. 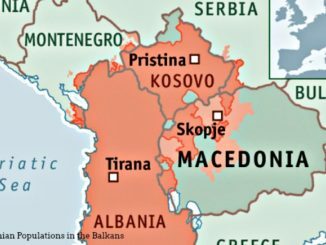 Turkey, Bosnia and Herzegovina, Georgia, Ukraine, Macedonia and Armenia are all the countries to watch over the next few years. Categorised by their challenging political landscapes, only Armenia bucks the trend with a positive change in government. Despite an unchanged CPI score of 36, recent political developments in Bosnia and Herzegovina are worrying. Following elections in October, which raised concerns of fraud and poor administration, the regional public prosecutor in the city of Banja Luka dismissed calls for an investigation into politician, Milorad Dodik, for exercising illegal pressure against voters during his campaign. More recently, authorities in Banja Luka attacked peaceful protesters, arrested and detained opposition leaders and activists, and banned public gatherings. This is a clear example of alleged corruption in an election campaign leading to a crackdown on democratic institutions and participation. Transparency International Bosnia and Herzegovina is working to advance transparency and accountability of prosecution, monitor financing of electoral campaigns and assist citizens in reporting corruption. With a score of 58, Georgia increased by two points since last year, however the country now faces democratic backsliding, making it both vulnerable to high-level corruption and a country to watch moving forward. This downturn is due to a lack of accountability of law enforcement, corruption and political interference in the judiciary, state capture and government-sponsored attacks on independent civil society, among other issues. Despite an urgent need to investigate cases of corruption and misconduct in the government, Georgia has failed to establish independent agencies to take on this mandate. Impunity contributes to public distrust. According to a recent poll conducted by our chapter, Transparency International Georgia, 36 per cent of citizens believe that public officials abuse their power for personal gain. This is up from only 12 per cent in 2013. Progress in anti-corruption will continue to stall and reverse if the Georgian government does not take immediate steps to ensure the independence of institutions, including the judiciary, and support civil society, which enhances political engagement and public oversight. Although Ukraine improved its CPI score by two points, moving from 30 in 2017 to 32 in 2018, the enforcement of anti-corruption reforms launched in 2014 remains incomplete, leaving Ukraine well below the average global score of 43. Four years since anti-corruption legal and institutional frameworks were introduced, progress is too slow. The newly established anti-corruption bodies have not succeeded in bringing to account any corrupt high-level official, even though a number of proceedings have been initiated. Public disillusionment with the Ukrainian government is growing steadily. 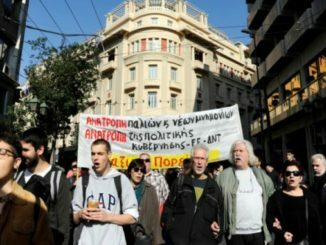 Citizens are disenchanted with the results of the reforms and have little confidence in the ability of the government to improve the situation. Yet, despite this distrust, an active and independent civil society could help control corruption and improve confidence in government institutions. Although it often takes years for anti-corruption laws to yield results, and Ukraine must redouble its efforts to ensure progress. Additionally, as pressure from the international community and civil society continues to grow, so does the resistance of those with vested interests in power. As a result, Ukraine is an important country to watch in the years to come. provide free access to information and improve enforcement mechanisms as a precondition for successful anti-corruption efforts.